that this DNA model's video is a gay love story (with a twist) more than anything else. He's been praised in the gay media and we send our bravo's as well - but there's more to it. This is a genuinely good song. We put it on our iPod along with a lot of new music and when it came on without us knowing really what the song was, we absolutely loved it! 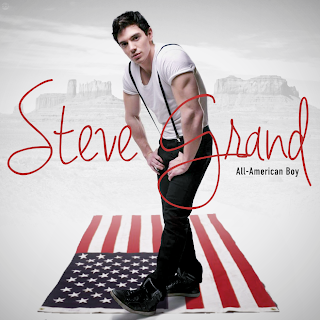 Steve has some pretty amazing and powerful vocals and an obvious love of music that flows through into All-American Boy. Steve has done this all on his own as well - no record deal or anything but hopefully with the strength of this track he'll have one soon! Best part? You can download the song for FREE! Steve, bravo, for a brilliant song..!